What does the “jazz brand” mean today? But more broadly, are yet more gigantic all-star concerts the only, or best, way to celebrate the jazz legacy? 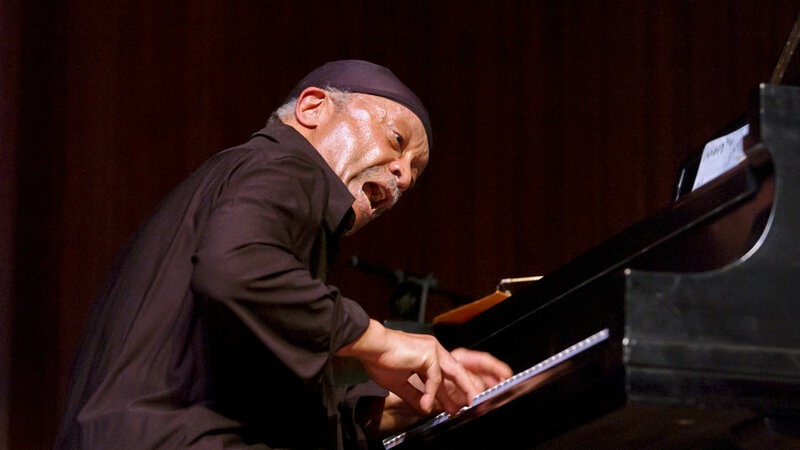 As jazz scholar and player Mark Laver has pointed out (he’s worth reading: see, for example, https://www.timeshighereducation.com/blog/arts-are-not-distant-public-good-they-are-public-good) participating in jazz involves practising freedom, empathy and listening; Laver calls jazz “a democratising aesthetic force”. Mega-concerts are exclusionary across many dimensions, so let’s look at our own South African jazz landscape and see what kinds of activities might genuinely serve that spirit. Broaden access for learners, players and listeners. Some of the South African activities (including one not listed on the IJD page: the Menlyn Park Jazzathon: contact Nothemba Madumo on Nothemba@4everjazz.com ) try to do this. They take jazz to stages where it plays only infrequently or offer opportunities to aspiring players. The best way to do this is through small local events, not big ones. Uncover and preserve the narratives and discourses of our jazz. Tonight (Friday April 20) at Sophiatown the Mix, I’m chairing a panel to explore and record the history of Mam’ Dorothy Masuka as a composer and performer, in conversation with her, music scholar Dr Lindelwa Dalamba, and musicians Bheki Khoza and Titi Luzipo. While Mam’ Dorothy’s history is impressive, it’s one tiny corner of all the jazz stories we don’t know and – if they remain unrecorded – will never know, as the paucity of information in (equally scarce) obituaries of reedman Lemmy “Special” Mabaso earlier this month revealed. Upgrade jazz education. Restore the disastrous diminution of music teaching and learning inflicted particularly on the most impoverished schools by Schooling 2025. Make it possible for more musicians to participate in jazz higher education, by re-examining job descriptions and hierarchies and dismantling unnecessary barriers . Provide more commissions for jazz composers. This remains a major weakness in South Africa: apart from the National Arts Festival Young Artist for Jazz award, there’s very little support for writing music which – combined with low, unreliable fees for playing – constantly constrains the growth of innovative repertoire. Foster the economy of the night city to provide more work. And all of these, of course, need to be happening throughout the year, not just on one commemorative day. A flashy mega-concert unsupported by a living, well-resourced infrastructure performs the politics of tokenism. That a South African jazz infrastructure does survive and create is evidenced by the nominations for the 2018 SAMAs, just announced. These are: The Simphiwe Dana Symphony Experience (https://itunes.apple.com/za/album/the-simphiwe-dana-symphony-experience/1266671019 ); Marcus Wyatt’s Blue Note Tribute Orkestra live at the Bird’s Eye (https://bnto.bandcamp.com/releases ); Zoe Modiga’s Yellow: the Novel (https://itunes.apple.com/za/album/yellow-the-novel/1219606445 ); the Tune Recreation Committee’s Voices of Our Vision (https://store.cdbaby.com/cd/tunerecreationcommittee ); and Nduduzo Makhathini’s Ikhambi (https://itunes.apple.com/za/album/ikhambi/1285160305 )(which also scored a nomination for Best Sound Engineering). In addition, Kinsmen’s Window to the Ashram (https://store.cdbaby.com/cd/kinsmen ) features in the Best Classical/Instrumental category. It’s an interesting selection with, as usual, some infuriating omissions – most notably Keenan Ahrends’ Narrative (https://itunes.apple.com/za/album/narrative/1220746628 ): one of the most beautiful guitar releases of any recent year. But however deserving the eventual winner will be, the SAMA categories manage to neatly sideline jazz’s importance by making it impossible for jazz to feature in the so-called “Top Five” categories that will be announced later and will dominate the televised ceremony in May. There, jazz is likely to be near-invisible. If the SAMAs had called them the “Big Five” that might not be problematic: those five categories do, after all, deal with the most mass-marketed music. But “Top” – like it’s better? The Modiga and TRC albums share a great deal of personnel – that probably tells us a lot about Cape Town’s tight-knit cadre of extremely talented young musicians, and may also be some kind of belated acknowledgment that great CT releases have been ignored in some past SAMA listings. But it narrows the pool of people who stand to bathe in the starlight of the awards. Then there’s the inclusion of the Simphiwe Dana album. Dana is both an engaging singer, and a fiercely talented and original songwriter. She doesn’t need to occupy the jazz category to be worth multiple awards. The album delivers some gorgeous tracks (check out Volver Volver, featuring Mallorcan – with parents from Equatorial Guinea – singer Concha Buika and Derek Gripper). It’s well resourced and beautifully produced. It just doesn’t – as Dana’s albums often don’t – feature too much of the improvisation process: the thing that jazz audiences relish. However, there’s a certain cachet in the jazz genre label that has nothing to do with the music (of that, irrespective of genre, there are only two kinds, observed Miles: the good stuff and the rest) and everything to do with business. As the Nielsen marketing organisation has observed, “jazz” branding – whatever it’s attached to – can deliver “a desirable audience of high-end consumers.” In a wry and witty blog, Joyce Kwon explores why so many marketers love the label: (http://www.tronviggroup.com/jazz-in-marketing/ ). So it’s not surprising if sometimes labels will spare no effort to get their artists featured in a “jazz” category. Whether we’re talking world commemorative days or awards, let’s employ the term jazz with discrimination. It’s about processes – improvising, listening, empathising– not products – mega-gigs, awards – and those processes need to be respected and supported every day of the year. SAFM music – after the quota, now what’s SABC playing at? Over the weekend, SAFM issued a press statement ( http://www.sabcnews.com/sabcnews/sabc-announces-talent-lineup-changes-safm/ ) formalising what had been known and rumoured about the broadcaster’s plans for some time. The shuffling of the deckchairs among existing presenters, and the arrival of EWN’s Stephen Grootes belong in another debate. Urgent to consider here is the near-disappearance of jazz and African music. Richard Nwamba – also absent from the new line-up – by contrast, had an effervescent presentation style, alongside an equally encyclopedic knowledge of the continent’s multiple genres. If some obscure but brilliant Congolese chanteur happened to be in town, Nwamba would tap his grapevine, track him down, and drag him into the studio. Former dedicated disciples of Brenda, or John Coltrane, or Durban house, all got their schooling in the music of the wider continent from Nwamba. And he had listeners, lots of them: you heard his show belting from all kinds of unlikely radios in taxis, barbershops and restaurants. What these two did was unique, and what other DJs may do – easy-listening meister Ernest Pillay, for example, now has a generous slot – however professional, does not replace either. Huge thanks to both of you – you will be missed. Many of us predicted that when the pendulum swung away from Hlaudi’s dictatorial and poorly thought-out 90% quota, the reaction would be even more disastrous. It’s starting to look as if we were right. So we have to ask: what on earth does the SABC think it’s doing to our music? The SABC is our national broadcaster. It thus has a mandate and responsibility to offer listeners a wider palette of cultural choices than the purely commercial, even in financially straitened times. It further has a responsibility to maintain and enrich the sonic archive documenting our creativity. But, more than this, eliminating jazz and African music from SAFM (concert music has disappeared too, at the very time when composers of colour are on the rise) represents the erasure of important areas of discourse from the channel where discourse is supposed to rule. Because music isn’t just sounds, it’s discourse too. It carries discourse in its notes: a language of sound that can enhance emotions and convey information and meaning. When Feya Faku plays a solo, he is telling us about our history and asking questions about our future. The indigenous jazz now being made is more creative and challenging than ever. Music also carries discourse in what it connotes: Nwamba’s show, for example, enacted in its very existence a powerful counterblast to anti-African racism and xenophobia and the dehumanisation of our neighbours – if any programme could be said to be building social cohesion and offering a damn good time on the way, it was his. Finally, music is, in Val Wilmer’ words “as serious as your life”: it merits being discussed as well as played, and the station for that kind of discussion is SAFM. Knowledgeable SAFM presenters who remain, such as Michelle Constant and Shado Twala will no doubt do their best to keep the discourse alive – but the formats of their programmes demand diverse coverage of multiple genres and topics, with only small inserts on each. The formidable Nothemba Madumo on Metro, KG Moeketsi on Radio 2000 (and the brilliant Brenda Sisane and Nikki Blumenfeld on Kaya: outside the SABC stable) all still earn respect for treating Jazz and African music with the intelligence and focus both merit. But the SAFM music offering – on the national station with the widest reach – has been shamefully impoverished by these changes. The future sound archive and thus what will be available to researchers will be equally diminished. The new SABC Board no doubt has paying the bills at the forefront of its mind – but maybe we should be reminding Board members that programming priorities and the non-commodifiable values of broadcasting matter too, and that what has just happened needs a long, hard re-think? Read this news story today! The issue of ‘public domain'(DP) as it relates to Black music in South Africa is poorly understood and under-documented. This story – while it suffers from having to compress together a number of separate issues around DP in quite a short space – makes a valuable start by opening the door on all the questions.